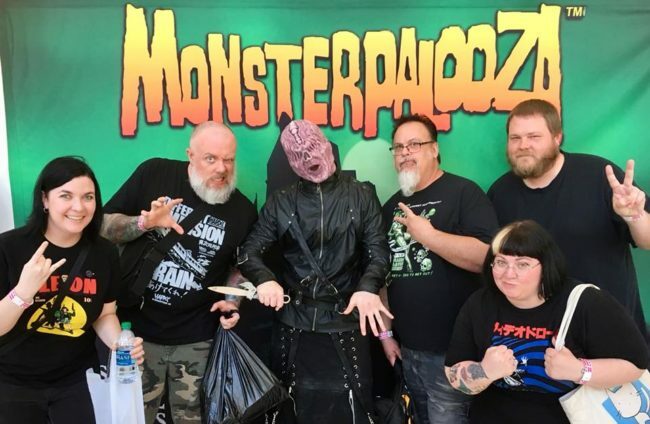 Hey, check it out, it’s a recap episode of last month’s Monsterpalooza with the entire crew who made the trek — that’s Rachel, Gretchen, Jeff, Clancy and Kyle! If you aren’t familiar with Monsterpalooza, it’s an annual monster-related convention held in the Los Angeles, California area. Most years we’ve seen some kind of Japanese celebrity guests — this year the show brought Bin Furuya (Ultraman 1966), Tsutomu Kitagawa (Millennium series Godzilla) and Shinji Nishikawa (Heisei & Millennium concept artist and master illustrator) to the convention. Major thanks to everyone who came up to us and especially to those who came out to the listener party! Check out our Kaijucast Purikuri video! Did you hear about our new MERCH RUN! aka Did you want an awesome enamel pin? Check it out here.